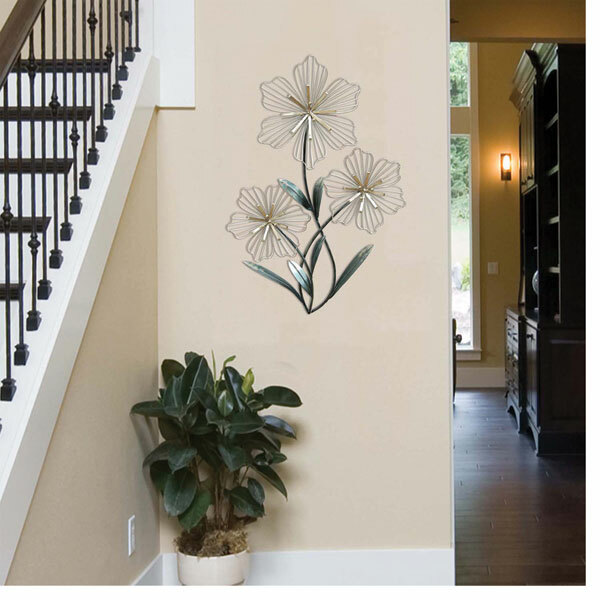 Brighten a plain wall in your home with the Tri-Flower Wall Art. 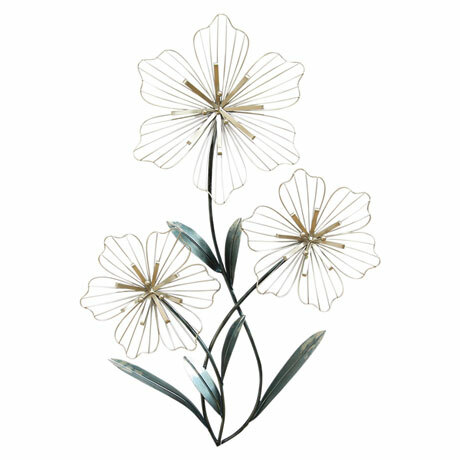 Made from durable metal with silver, and blue, this piece is charming and sweet. Display it in a contemporary home for a cohesive feel. 18 1/2" wide x 1 3/8" deep x 30" high. Allow 2 weeks for delivery. No rush delivery or gift box. Item can only be shipped within the Continental US.